Our private English-speaking guide and driver will pick you up in time at the airport and transfer you safely to the hotel. A paper board with the sign of your name will be held high at the airport exit. Morning tour in Tiananmen Square, Forbidden City; afternoon tour in Temple of Heaven, Pearl factory; Chinese Kung Fu night show. Forbidden City: The world reputed royal palace lived by 24 Chinese emperors, extremely grand. 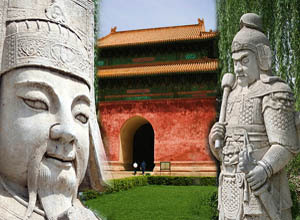 Temple of Heaven: A royal temple where emperors held prayer and sacrifice ceremonies to the Heaven for a good harvest. Tour to Mutianyu Great Wall in the morning, and then visit Sacred Way, Changling Tomb in the afternoon. Mutianyu Great wall: The most spectacular section of Great Wall but less crowded. A round way cable car helps you reach the wall. Sacred Way: The distinctive road to the sacred tomb of Ming Dynasty emperors. Changling Tomb: The ancestral tomb of Ming Tombs. It is built in superb architectural skills and cherished invaluable historical relics. Visit the Summer Palace and Olympic Green. After lunch, our guide and driver will transfer you safely to the airport for departure. Summer Palace: The world reputed royal garden with extremely beautiful sceneries. Enjoy a cruise in the Kunming Lake for its surpassing beauty. Olympics Green: Where you could appreciate the exterior beauty of the Bird’s Nest and the Water Cube. * Want to join a group tour? 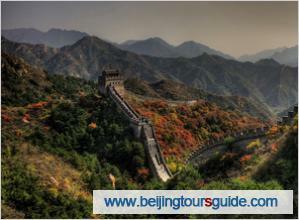 Click to check our 4-Day Beijing Small Group Tour.